Our art communications partners from art:berlin can provide you with an insight into the changing exhibitions of the Olbricht Collection or other private art collections and the Wunderkammer through a variety of guided tours. After the tours, we cordially invite you to get together in our me Café for communal reflection upon the artworks. Overview of the exhibitions and insight into the concept and choice of artists. 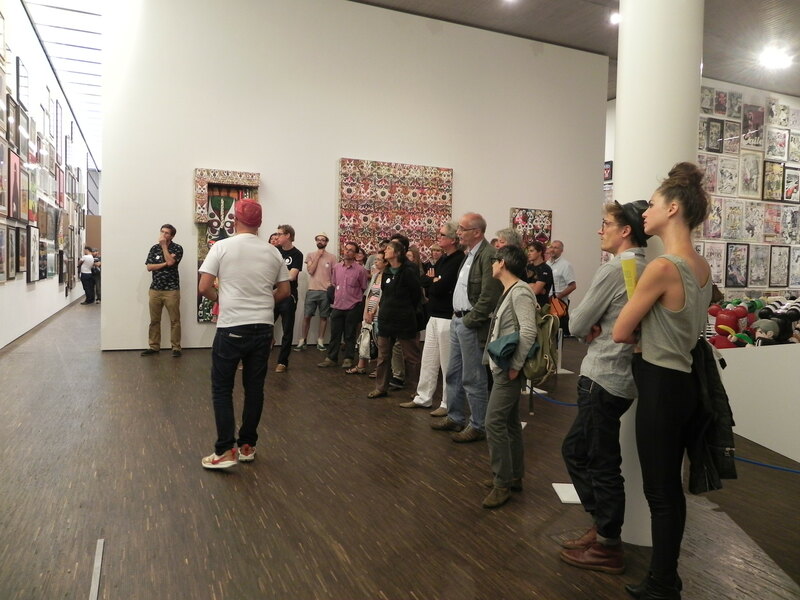 You are welcome to book tours of the me Collectors Room Berlin through art:berlin. You are free to choose your preferred time and day. To make everybody enjoy our tours in the same way we are also offering them in easy language. Don´t hesitate to ask us. When booking your tour, please use our ticketingsystem, send us a fax, or call us. All prices include 19 % VAT. Cancellations should be made three working days before the planned tour, otherwise we are obliged to charge the full fee. Groups who bring their own guide would have to purchase a license from art:berlin.